Our next four blog posts will focus on the four most important things to know about limestone. Today, we start with IMPORTANT THING #1: COLOR. Limestone is a product of nature, man simply cuts it into convenient shapes. Limestone is a sedimentary stone found virtually everywhere around the world. 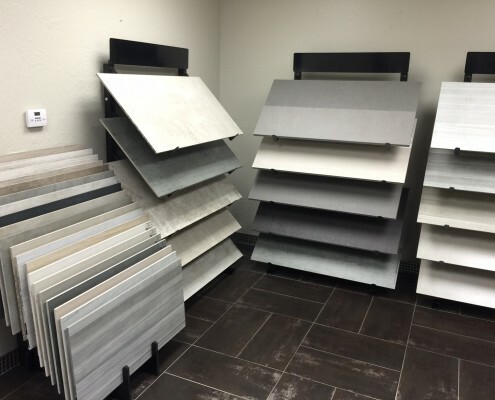 Most of the limestone used in the tile industry is comprised primarily from shells and bones of aquatic creatures, that has undergone extreme heat + pressure + time, which is why most limestones are light in color. Darker limestone have been colored by other stones and minerals with heat and pressure over time. 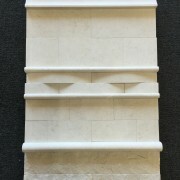 For more information on how to design with limestone tile visit us at our Scottsdale Showroom. Stay tuned for our next post on the density and strength of limestone. Here is the beauty of a painted geometric design on a well-worn, whitewashed barnwood plank flooring, or is it??? All the benefits of porcelain, with the incredible uniqueness of a vintage whitewashed patterned wood floor. Available in two widths: 5 ½” and 8 ½”, both in a 35″ length. Each width can be used together or separate, and if used separate there is a specific pattern for either width. Now on display in our beautiful Scottsdale Airpark showroom. mostly 12″x12″ with the bigger tiles at 13″ x 13″. tile was 16″ or 18″ square. 24″ was available, but was mostly a novelty at the time, with few customers. Now we’re almost halfway through 2015. 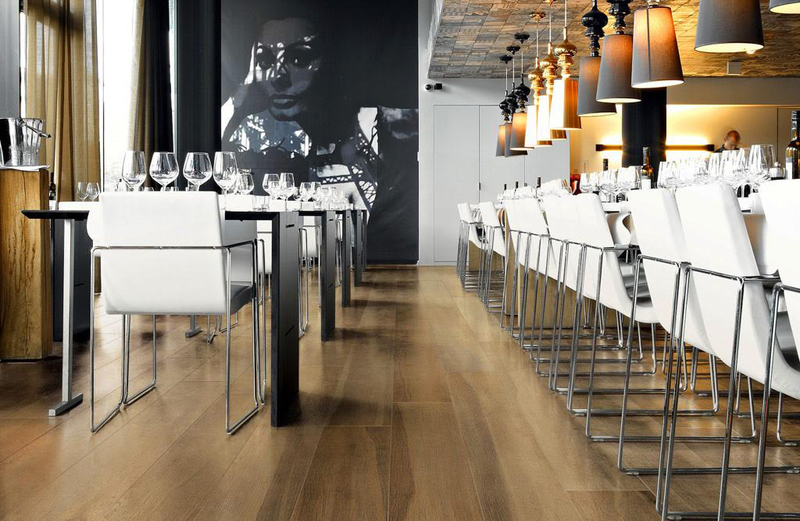 Ultra-thin (1/8″+) porcelain panels up to 5’x10′ are available from almost all distributors. Requiring new cutting and handling equipment as well as special adhesives and specific installation techniques, ultra thin porcelain has been slow to catch on residentially. 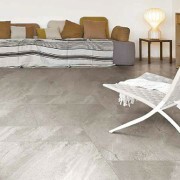 However, traditional porcelain tile has been growing to larger formats as well. The best selling size by far is 12×24, but we are seeing tremendous interest in 18″x36″ and even 24″x48″. 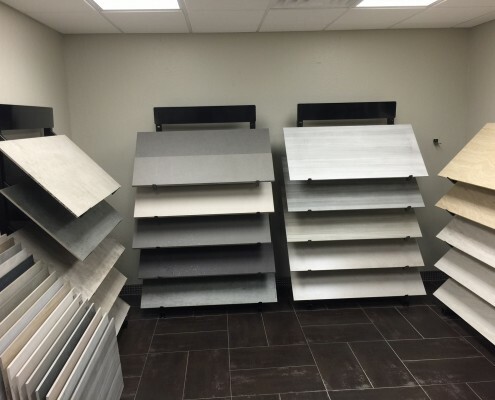 We have over 20 selections of each of those sizes on display in our showroom. 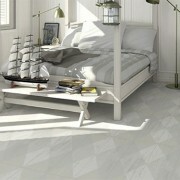 But the most dramatic has to be our piece of 48″x48″ porcelain tile (not ultra thin). 16sf in a single tile—amazing! 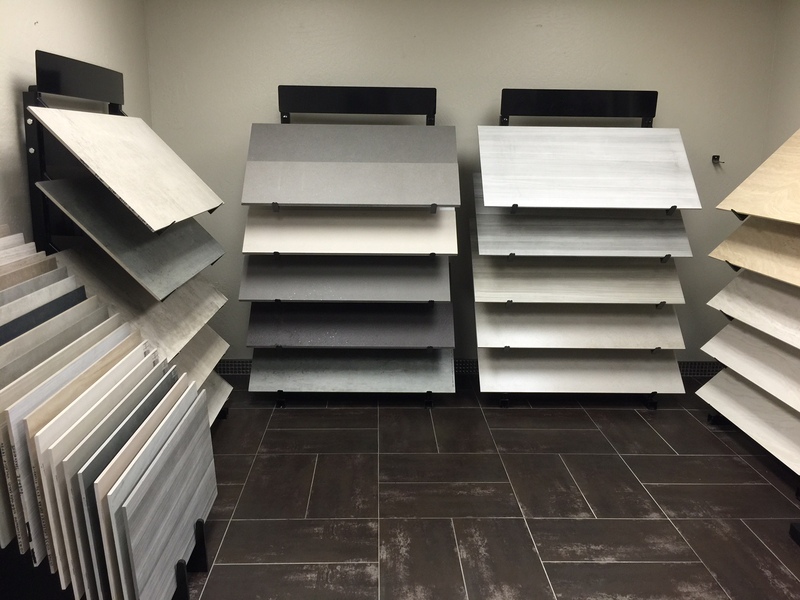 We have two installations of 24″ x 48″ in our showroom—you’ll be amazed how it works well even in smaller rooms. Smaller rooms with less grout joints give a more sleek contemporary look. 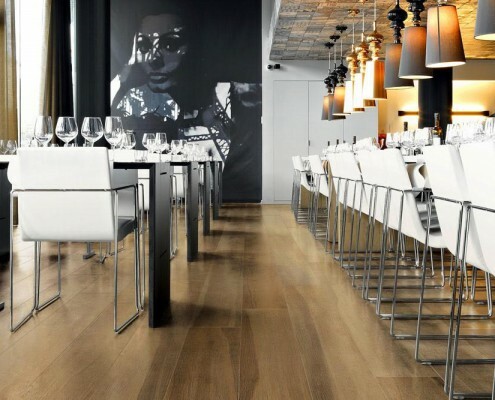 Like many of you, we at Villagio Tile and Stone have been shocked by the news that the country’s largest retailer of laminate wood flooring is being investigated for selling laminates with unacceptable levels of formaldehyde (See the story here). 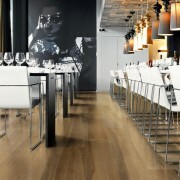 However, virtually all wood laminate flooring contains formaldehyde, no matter where it is purchased. Basically, it’s not a question of “if” formaldehyde is present in laminates, but “how much”. The glue and resin that is used to bond pressed wood together contains formaldehyde gas. There are federal and state guidelines as to what levels of formaldehyde are considered “safe”. Now I’m not sure how much formaldehyde gas the Fed says I can safely have in my home, but any gas that increases the risk of chronic respiratory irritation, asthma and cancer, I would want at zero. 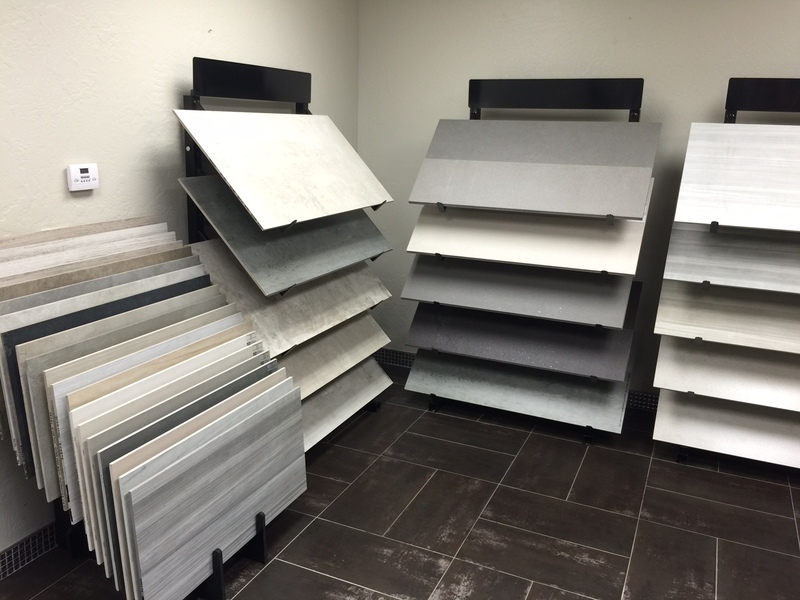 One of the many attributes of porcelain tile is…they’re inert! 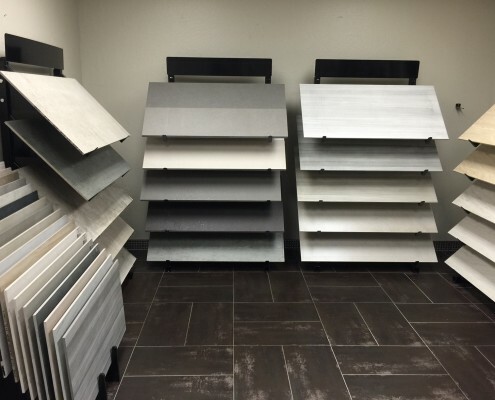 Tile is not glued together, and no formaldehyde or toxic substances are used in production. Porcelain is fired to over 2,000 F, burning off most impurities. Porcelains do not contain or release toxins. 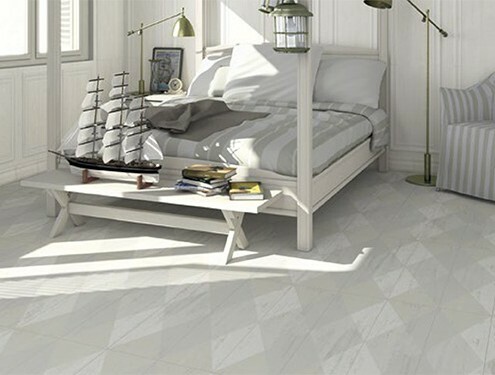 So, in addition to being water-PROOF, stain-PROOF, and termite-PROOF, we are now aware that porcelain woods are formaldehyde-FREE, providing a safe, beautiful option to laminated woods. 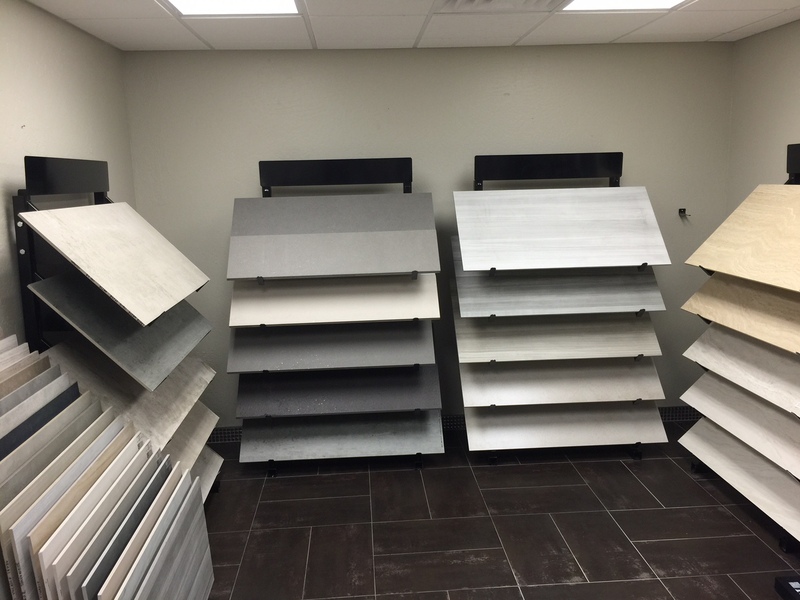 Stop by our Scottsdale Showroom to check out the newest 48″ porcelain wood planks, MAXIWOOD.